There were so many great games shown off at this year's E3 I'm still reeling from the excitement. It seemed like the "Big Three" console makers each brought their 'A' game as their press conferences were for the most part, very impressive. With so many great games on display, it was hard to choose my best of show pick, in fact I debated over it for hours. 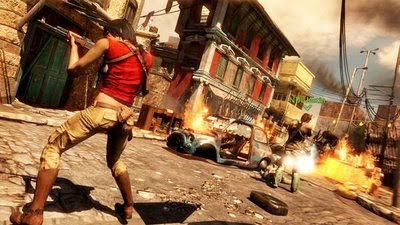 Splinter Cell: Conviction brought the visuals, God of War 3 brought the action, New Super Mario Bros. Wii brought the multiplayer, Modern Warfare 2 brought the gunplay, but it was Naughty Dog's Uncharted 2: Among Thieves that really seemed to have it all.